In Partnership with Beit Hatfutsot, the Museum of the Jewish People. 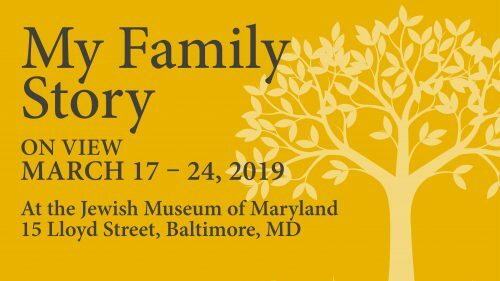 The My Family Story Program is a fun-filled, meaningful, personal, global and multigenerational Jewish heritage journey to the past, where the exploration of one’s Jewish family story, genealogy and traditions culminates in an artistic installation. This year we welcome projects from Beth Tfiloh Dahan Community School, Ohr Chadash Academy, and Beth Israel Congregation Religious School! My Family Story is one of Beit Hatfutsot’s most innovative flagship programs. Over the past 24 years, young participants in Israel and worldwide Jewish communities, have embarked on a fun and meaningful, personal, experiential, international and multigenerational Jewish heritage project. 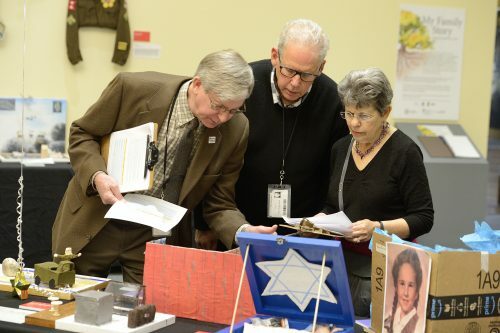 Through rigorous research and inspiring creativity, the students produce a final art display illustrating their personal exploration into their family roots and connection to the greater story of the Jewish people. The Jewish Museum of Maryland is proud to be a partner and be a site for area students to display their creative works. These projects will be judged, and each participating school’s top winning projects are sent to Beit Hatfutsot where there is a chance for them to win a free trip to Israel where they join the My Family Story annual event and their projects are displayed in an international exhibition at the museum. Come see the personal expression and creativity of these students! This program is supported by the Ronnie and Alli Russel Charitable Foundation.